India ranks 142, and third last on index of health and survival. CHENNAI: While India has moved to the 87th position on the World Economic Forum’s global Gender Gap Report 2016, numbers suggest that longer strides have to be taken to bridge the gap when it comes to health and survival, and economic empowerment of women. The report calculates the global score of 144 countries based on four sub-indices – educational attainment, health and survival, political empowerment and economic participation and opportunity. 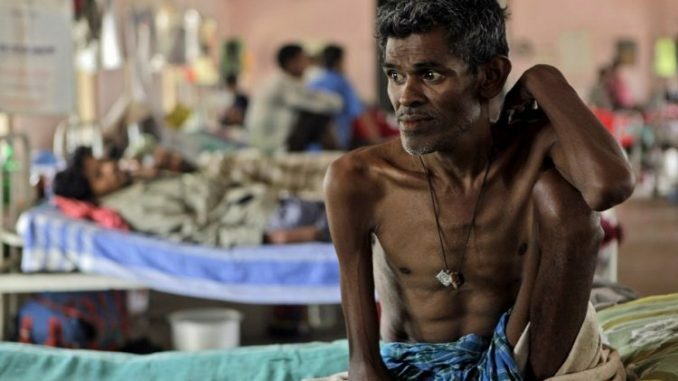 While moving from the 108th position last year to rank 87 in 2016 might look as an achievement, India scores abysmally low – ranking 142, and third last – on the index of health and survival. According to the report, India remains the world’s least-improved country on this sub-index over the past decade. The report highlights that India has shown a major improvement by bridging the gap in political empowerment with a rank of 9. Also, when it comes to literacy rate, India ranks 124, with high enrollment rates for females and no gender gaps in primary and secondary education. Globally, the one index that is not doing well is economic participation. Only 59 per cent of the economic participation gap has been closed worldwide – taking an all-time low since 2008, the report states. “In India as well, the female labor force participation is 28, while for males it is 82,” the report noted, taking India’s rank to 135 on that scale. Ranking 103 on wage equality, India, according to the report, has moved closer to close the gender gap with regard to wage equality. “We have come a long way from where we were, but disparity and responsibility after maternity are largely a burden on the woman,” said a woman entrepreneur. Laws governing workforce in India can bring in a change if implemented properly. “Globally, there is a reduction in the number of female employees being hired which arises from a number of reasons. Social constraints like marriage and maternity bring in the disparity in pay as well,” said S. Subramanyam, founder and CEO of Ascent HR. He added that incentive-based and voluntary obligations could be used to reduce the gender gap at workplaces. “Instead of complying to maternity leaves, there should be provisions for child care and nursing, to bridge the gap that female workforce feels,” he said.